In the city of Delft the Botanical Garden is the largest green space close to the inner city, an oasis of rest for surrounding residents of a busy city, and of course also for the TU population itself and many others. All sorts of formal and private connections exist between the city and the garden. Countless couples have their wedding pictures made in this greenery. With a large variation of garden events and activities, the garden participates in the cultural life of the city. The Botanical Garden is imbedded in the structure of the Technical University Delft as part of the department of Biotechnology of the faculty Technical Natural Sciences, TNW. Within the TU Delft there are all sorts of connections regarding research and education between the Botanical Garden and other units of the university. Moreover, such connections also exist with other research and educational establishments, companies, and governments. Together with 21 other Dutch gardens, the Botanical Garden of TU Delft is united in the NVBT, the Netherlands Society of Botanical Gardens. The NVBT is again closely connected to the Society National Plant Collections (SNP). 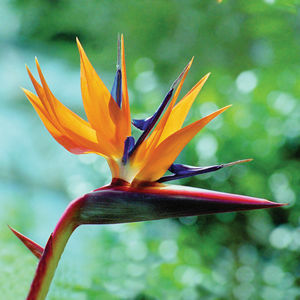 This foundation co-ordinates the scientifically documented plant collections in various gardens. In international context the Botanical Garden TU Delft is part of BGCI, EUROGARD, IPEN and ENSCONET. There is a close tie between the Botanical Garden TU Delft and the large and active Association of Friends of the Botanical Garden. Together with the Garden, this Association publishes a quarterly periodical. An important task is assigned to the team of garden volunteers, as it is to the team of volunteers in the Museum Shop. A steadily growing number of friends visits the Face book page of the Botanical Garden. With the project, Plants for the Future, the joined botanical gardens work on their own public programming. 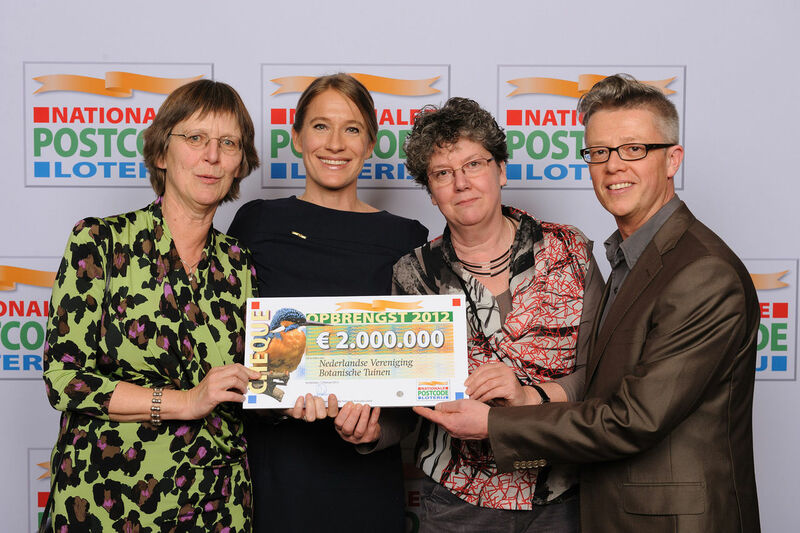 Thanks to the support of the National Postal Code Lottery, they are able, in co-operation with the Waag Society, to link their plant collections and share them publicly in an innovative manner. This project was started in 2013 and the gardens worked jointly to achieve ‘2017: The year of the Botanical Gardens in The Netherlands’. The Friends of the Delft Botanical Garden Association was inaugurated in 1997 in a period when the future of the gardens seemed very uncertain. However, with the help of the stalwart efforts of the Association, the gardens were revived and the flowers are blooming once more, with the result that it has fully regained its position as scientific institution, public attraction and beautiful green city park with exhibits to prickle the interest of old and young. The goal of the Association is to present the gardens and their surrounding monumental buildings in such a way that they get the attention they deserve. Besides this, the Association, with its 1150 members (in 2014), supports the gardens by organising the annual Delft Botanical Garden Day and Iterson Lecture. The Association also supports the Garden financially with an annual contribution. In this way, they have helped with the building of the beehives, the volières, the placing of the garden benches, the lighting along the pathways, the layout of the various themed routes through the gardens and the production of the guide books. Other ways of support have been the printing of books, setting up exhibitions and other special events during the Delft Botanical Garden Day. Join up and become a member and play a part in keeping the garden blooming! You will receive 10% price reduction on items in the museum shop. You can apply for membership of the Association in the museum shop. The annual contribution is a minimum of €10.--, preferably to be paid there in cash. You can also apply by writing to or emailing the secretary. Please apply with your full name, Mr./Mrs./Ms., address, postcode, town/city, and telephone number and/or email. Your contribution can be transferred to NL21 INGB 0008 4561 99, of the "Vrienden van de Delftse Botanische Tuin" in Delft. Since 2008 a team of volunteers has been active in the Botanical Garden, as thankful supplement to the permanent garden staff. Their special working assignment is taking care of the Middle Garden and the Theme Garden. The Middle Garden with its formal lay-out of sixteen slender Yews and two imposing Dawn redwoods has sufficient space between these to make it possible to grow alternately old and new kinds of vegetables, herbs, edible flowers, and aromatic plants. In the Theme Garden, eight square beds in the lawn in front of the greenhouses, show a specific group of useful plants each year. In the past there were all sorts of grain species. At the moment dye plants are displayed. The garden volunteers work on Mondays or Wednesdays, either a half or a full day. Now and then they also work in other areas of the garden if extra manpower is needed there, for instance, for maintenance of the flower beds. Working in the garden means experiencing in all seasons, wonderful fresh air, and working together with colleagues in order to present the plant collection in as beautiful a state as possible. There is a volunteers web log with a short summary of what has happened in the garden from month to month.